The connected home, it’s seeing an increase in coverage from all angles. One of them in particular centers around security, as a host of products have been made to keep home owners at ease by allowing them to take a quick peek at what’s going on at home through the eyes of a camera. Back a while ago, we got the chance to review the iZON Remote Room Monitor – a remote camera that’s accessible through the iPhone. Well, we’re now getting the opportunity to check out the latest model, the iZON view, which sees the added benefit of wider device support and night vision. No major changes here, but it’s still a discrete looking design. 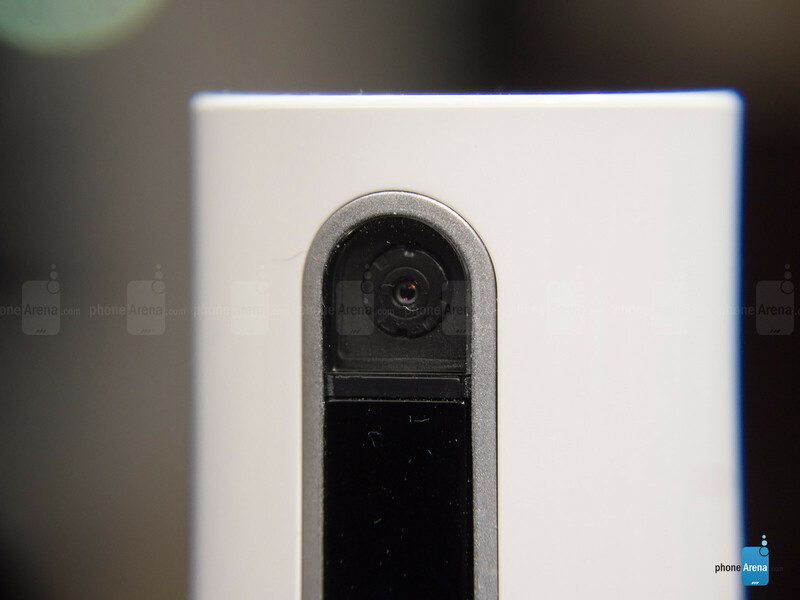 iZON didn’t deviate from the clean aesthetics of its first camera, as the iZON view nearly mimics its predecessor’s looks to the teeth. Quite simply, the same simple design is in play here, since the iZON view is essentially a glossy plastic cylindrical shaped thing – and that’s all. 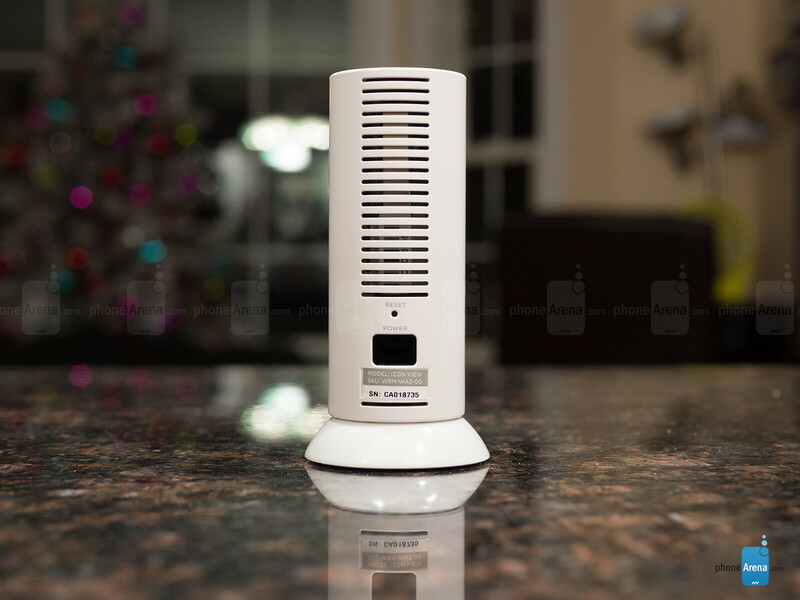 Needless to say, its design doesn’t evoke your typical camera, which is great and all, but better yet, it’s something that can discretely blend into wherever it’s placed. The main unit is attached via the magnetic base, which gives it some room for articulating – so we can prop it at different angles. At the same time, that magnetic base can be wall mounted, allowing the iZON view to stand freely on the ceiling or wall. On the main façade of the unit, it houses a camera lens that captures video at the resolution of 640 x 480 – though, the actual result through its mobile app is more like 320 x 240 at 10 FPS when the camera is accessed live. However, when previously recorded footage is played back through the app, it’s done at VGA 30FS. Below that is a tiny LED light that turns on to indicate its status, or alternatively, we can turn it off for that inconspicuous look. Around the back, there’s a pinhole sized manual reset button and the unit’s miniUSB port connection for its power. 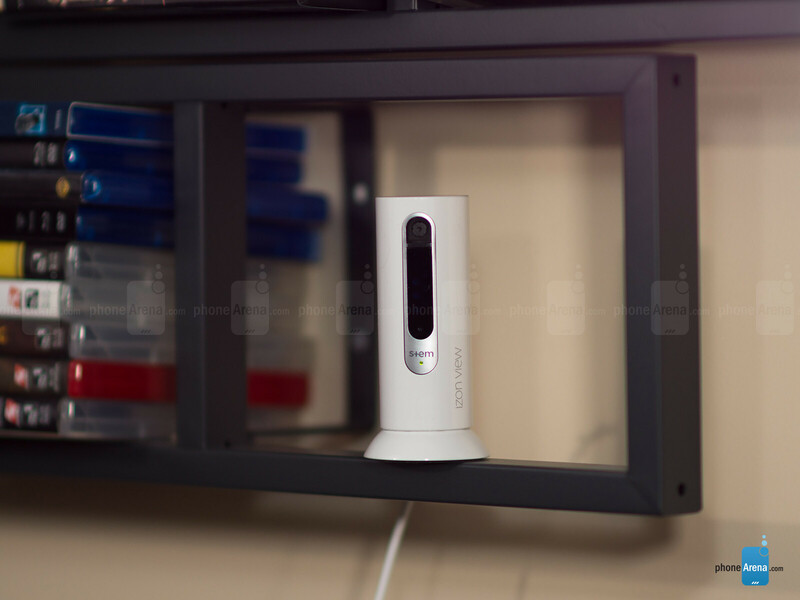 Overall, the design of the iZON view is undoubtedly unique amongst remote accessed security cameras. Unlike some other substantial models, this one is compact, discrete, and bears a slight modernized appeal to its design. However, its specs reflect its capacity, as it’s nowhere quite as generous with its features set.